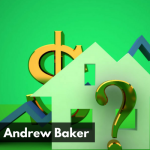 Jason welcomes income property investor Andrew Baker back to the show to chat about historical data, the future and all things financial. Capitalism is the economic driver in the US and it affords Americans with freedoms and abundances rarely available in other nations. It has allowed the sharing economy to blossom, cryptocurrencies like Bitcoin to exist and the blockchain algorithm to reinvent financial transactions. But, the government is vying to control the money supply. As history shows us again and again, investors should never bet against the Fed and should invest in the most historically proven asset class, the single family home. [03:55] The human brain is a cognitive miser. [07:18] Examples of why good RV ratios are essential when buying income properties. [16:10] The US truly is a land of abundance and we should appreciate our standard of living. [20:51] Jason plays a Mark Steyn clip from his book After America. [25:06] Jason comments on the clips reference to the European lifestyle as compared to a US lifestyle. [33:01] The ‘Thought Police’ include companies such as Google, Airbnb, Facebook and big media outlets. [37:44] The sharing economy is taking all the unused resources and putting them to work. [43:44] Governments and central banks will never give up control of international money supply. [47:17] Geography is less important than it has ever been in at any other time in human history.